You don’t have to be a tech genius to add some amazing effects to your videos. On Android, it’s as simple as installing an app and selecting what effect you want to add — like falling snow or lasers. To make your videos more fun, the following apps let you add effects, music, and stickers. There’s even an app that can make it look like your videos are coming from a security camera! 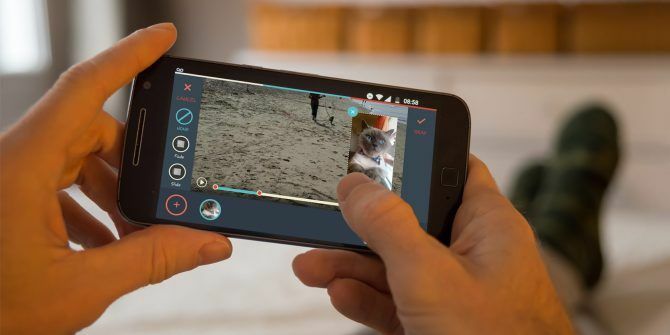 You don’t need a full-fledged video editing app The 10 Best Video Editors for Android The 10 Best Video Editors for Android Looking for the best video editor for Android? Here are the best video editing apps for Android users. Read More to do this. Below are some great apps simply for adding effects. VivaVideo lets you add falling rose petals, meteors, ice, fire, and much more. To add these effects, open the app, and find and add your preferred video. Select Edit Scissor icon > FX > FX white circle > Choose your effect. If it’s your first time using the app, for this reason, you’ll only a few options. To shop for more, tap on the orange bag icon in the bottom-right and browse through the large variety of effects. When you have the effect you want, select it and tap on the check mark at the top. To make the effect last longer, tap on the pencil button at the bottom and drag the white sides of the slider. You can also add effects by choosing the Theme option. The types of effects available will depend on the theme you select. For example, if you want to add the Cute Puppies theme to your video, tap on it to select it, and the app will insert the effects automatically that are available for that theme. While there isn’t a way to add the effects you want to the themes, the stock effects are amazing. If a theme has a title, you can edit it by tapping the theme again and a “T” will appear over it. Simply tap on the title and add your own. Some themes will be locked, but you can unlock them if you’re willing to watch a video. Other themes might ask you to rate the app with five stars to open it, but there will be some themes that are only available in the Pro version. Create videos especially for Instagram. Everything that’s locked in the free version is available in the Pro version. For example, the Adventure, Love Story, and What’s Up theme are only available with the paid version. To shop for more themes, tap on the more option with the shopping bag icon. There you’ll find themes that mimic 21st Century Fox, MGM, and one that adds a 1920s old movie effect (among others). Just tap on the download button, and you’re good to go. Have you ever wanted to add lightning or bubbles to your Android videos? VideoShow makes that possible with a few simple steps. Once you’ve chosen your video, locate and tap on the Edit tab. Here, you’ll see all the effects you can add to your video. You can add stickers, subtitles, filters, your voice, transition, and GIFs A Quick Photoshop Tutorial For Creating Animated GIFs A Quick Photoshop Tutorial For Creating Animated GIFs Let’s check out how to use Photoshop to create a quick GIF animation. These simple steps are easy to follow, even for beginners. Read More . In the effects option, you can add a kiss, falling rose petals, bubbles, shooting stars, thunder, snow, and more. Tap on the effects option followed by the white plus button. Browse through the options available and tap on the one you want to apply. Press OK to add the effect and then tap on the checkmark at the top to make your choice final. 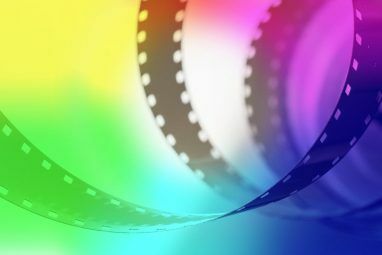 Just like the first app, VideoShow also has themes that can add effects to your Android videos. With themes, you can add a prologue and an epilogue to give the video your own personal touch. And not only that — you can add dancing strawberries to your videos as well. All the effects that are free to download will either have a ¨New¨ tag in the top-left corner or nothing at all. The themes that are only available in the Pro version of the app will have a “Pro” tag in the upper left-hand corner. Add as many as 20 FX effects in one video. Mix video and picture together. More than 50 themes and filters to choose from. The app offers an extensive amount of free and beautiful options that make it a great choice. VideoShow even allows you to add amazing effects to photos 10 Sites To Add Amazing Effects To Your Photos 10 Sites To Add Amazing Effects To Your Photos In years gone by, you had to be a skilled Photoshop user if you wanted to add amazing effects to your photographs. Not anymore, just check out these 10 great web apps. Read More as well. 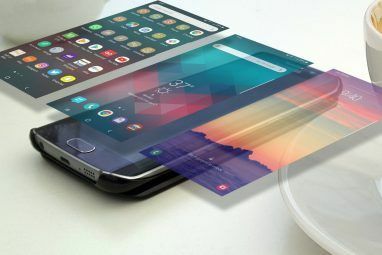 Most apps have a feature that makes them stand out, and FilmoraGo is no different. It has effects you’re not going to find among the others, such as an 80s theme, a mirror theme, and a kid-friendly theme. As soon as you add a video, your effect options will be on your right. Tap on the Themes option to use themes such as fashion, winter, Chaplin, love, or film (shown below). To access more effects, swipe down from the options to the right and tap on edit tools. Here, you can add effects such as picture-in-picture, voiceover, filters, overlays, titles, and slow motion. With FilmoraGo, the effects are called elements. When you use the app for the first time, it’s only going to have eight effects. To add more, tap on the three horizontal dots to shop for more at the app’s store. The store has various tabs for collections, filters, overlays, featured, elements, titles, transitions, and openers. All of the tabs have free and paid options, but with the paid ones, you’ll only have to deal with two prices: $1.02 (five presets) and $1.92 (ten presets). FilmoraGo doesn’t have a pro version. All the options that are paid can be yours by buying them directly in the free version. The stock elements are options that will definitely improve your video. For example, you can add stars, leaves, fog, balloons, a plane, an arrow, and a heart. With the overlays option, you can add other effects in real time such as an 80s look, love, sparkles, film, and snowflakes. A unique feature that FilmoraGo offers is an audio mixer. You can adjust the volume for the music, the voiceover (if any), and the audio that is part of the video. What Effects Do You Add to Your Videos? The effects that you add to your videos are going to depend on the type of video you’re putting together. If you’re editing a video How to Edit a Video in Linux With OpenShot 2.0 How to Edit a Video in Linux With OpenShot 2.0 What video editor is available for Linux users? Available for Windows and macOS as well as Linux, OpenShot 2.0 is on course to become the most popular video editor Linux. Read More of your dog, an effect that has dog paws in it is a perfect fit. 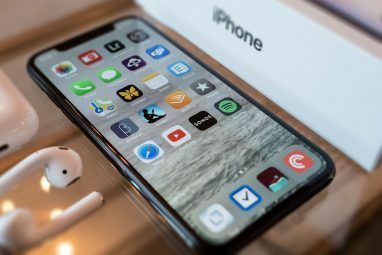 To sum up, you won’t have any trouble finding some fantastic effects with the apps mentioned on this list. What type of effects do you like to add to your videos? Do you like to add effects throughout the entire video? Leave a comment below and share your thoughts. Explore more about: Android, Video, Video Editor. Judy is a tech fanatic that loves technology in general, but Android has a special place in her heart. Born and raised in Hollywood California, but loves to travel and read about any device regardless of its OS.